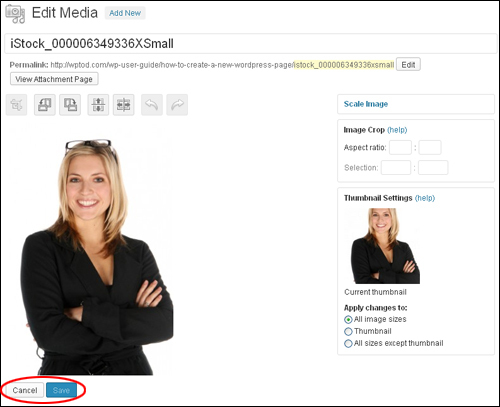 Learn how to edit images in the WordPress Media Library. 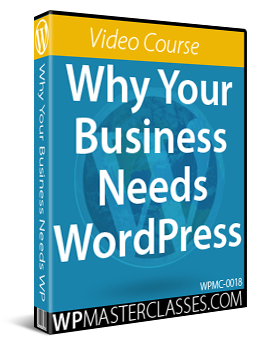 When you upload media files to WordPress like images, videos, audios, documents, etc., these can be managed from your Media Library and inserted into your site’s content. 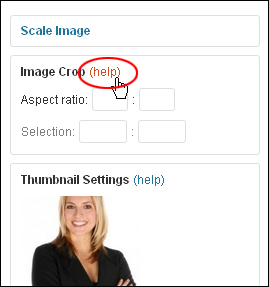 You can perform a number of basic image edits in WordPress, including rotating, cropping, and resizing of images. 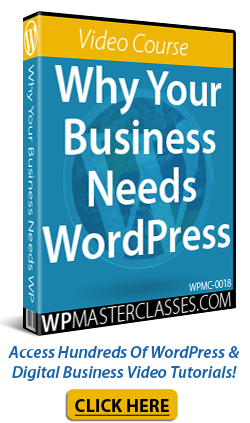 Complete the step-by-step tutorial below to learn more about editing images in the WordPress Media Library. 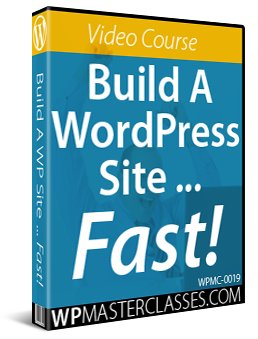 Once an image is uploaded to the WordPress Media Library, you can perform a number of basic editing functions, as you will see shortly. 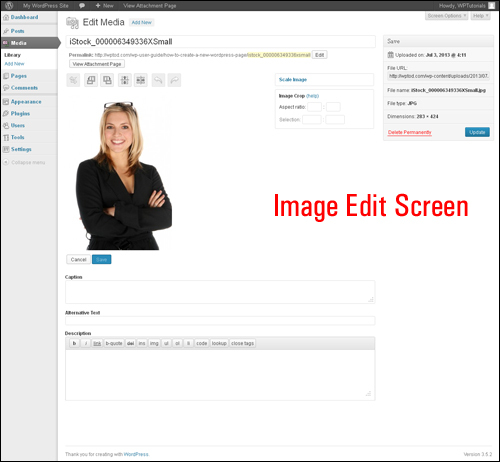 The Edit Media screen allows you to manage all of the information associated with your media. 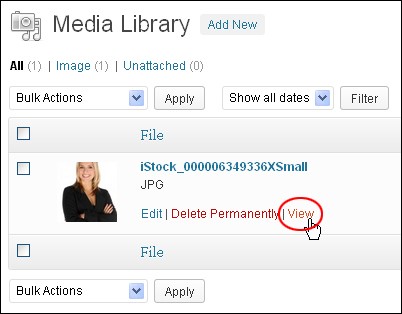 The Media Library by clicking the Edit link next to the item you want to edit. 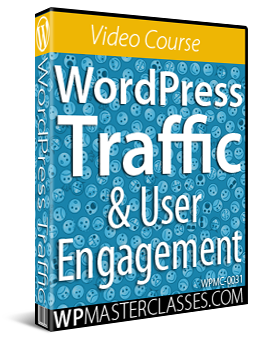 When inserting media into your pages or posts. 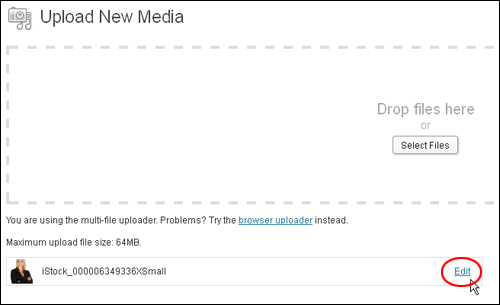 Edit the Permalink of your media file attachment page. Also, see the More Edit Media Options section further below for additional options relating to using comments in your media files. 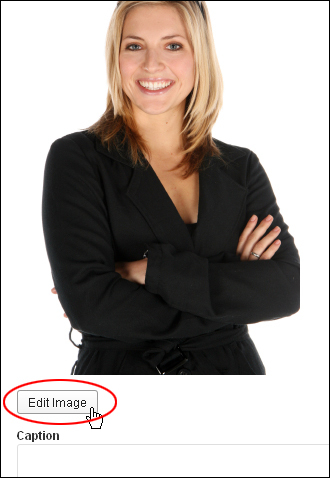 Note: The edits you make to your image in this section are non-destructive — you can restore the image to its original (uploaded) specifications at any time. 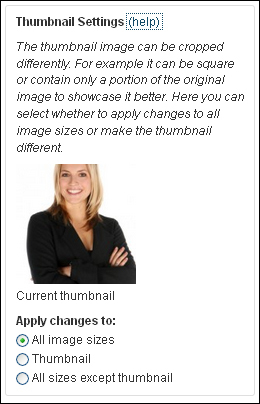 Crop Image Tool: Click directly on the image and drag while holding the left mouse button down to draw a selection box around the area you want to crop. 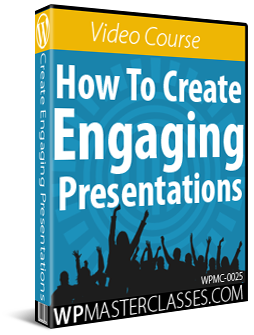 You can use your mouse cursor to grab the selection box and fine-tune its shape, as well as use keyboard shortcuts to fine-tune your crop selection. 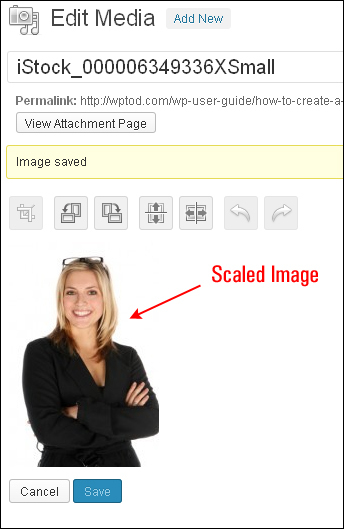 When you are happy with your selected area, click on the Crop icon to crop your image. Rotate Image Counter-Clockwise: Click this icon to rotate your image counter-clockwise. Rotate Image Clockwise: Click this icon to rotate your image clockwise. Flip Image Vertically: Click this icon to flip your image vertically. Flip Image Horizontally: Click this icon to flip your image horizontally. 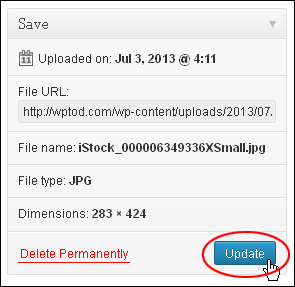 Undo Edit: Click this icon to undo your last edit. 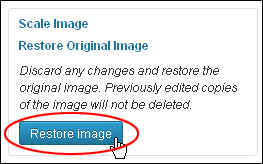 Redo Edit: Click this icon to restore your last edit. 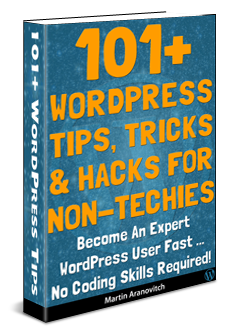 Note: Clicking the Undo / Redo buttons successively steps you through previous edits. 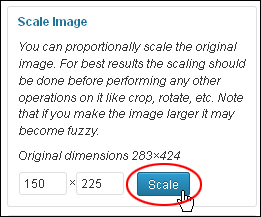 For best results, the scaling should be done before performing any other operations on it like crop, rotate, etc. If you make the image larger than the original, your image may become fuzzy. The original dimensions (e.g. 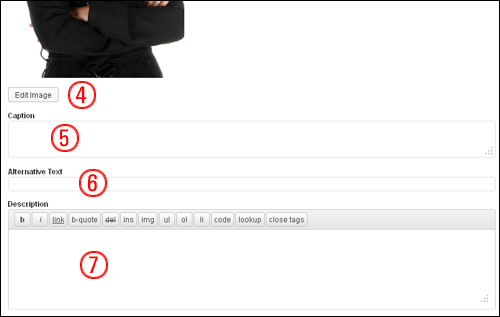 1024×768) are displayed above the input fields for entering new dimensions. 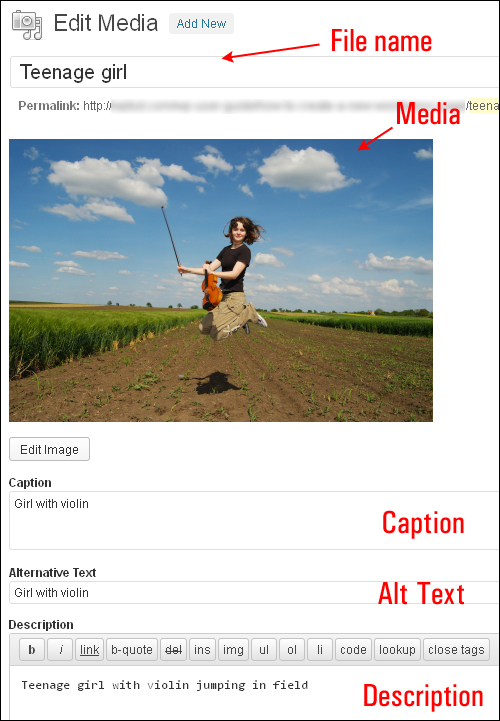 You can use this feature in combination with the Crop Image Tool button by first drawing a desired crop selection box around the image, then using the Image Crop tool to make the following precise adjustments. 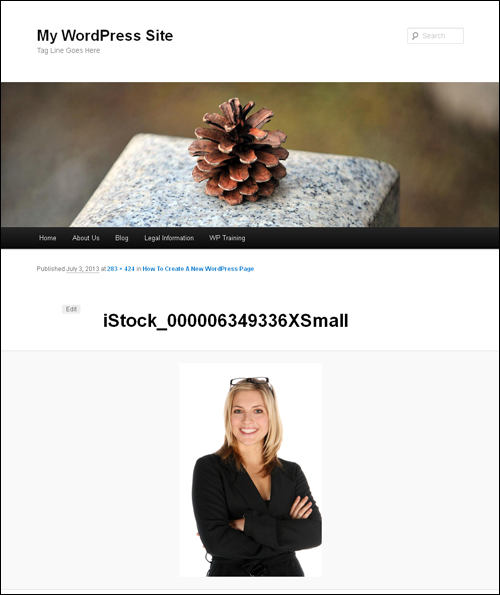 Crop Aspect Ratio: Specify the crop selection aspect ratio then hold down the Shift key while dragging to lock it. 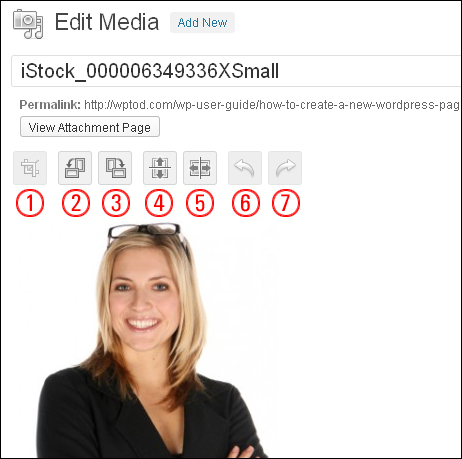 You can use values like 1:1 (square), 4:3, 16:9, etc. 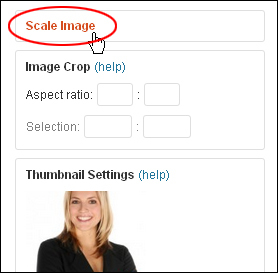 If there is already a crop image selection over the image, then specifying the aspect ratio will automatically adjust the selection. 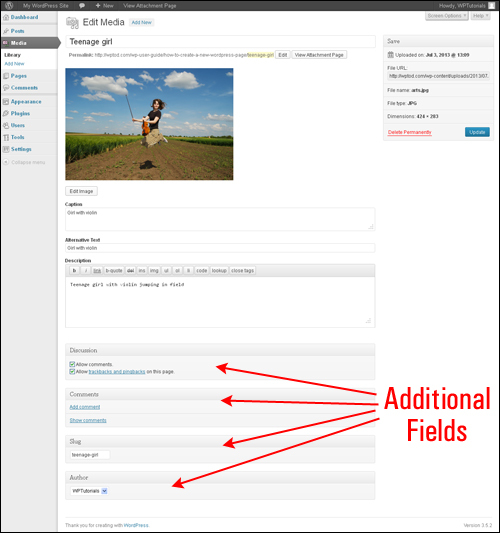 Crop Selection: Once the selection process has started, the selection can be adjusted by entering new values (in pixels) into these fields. 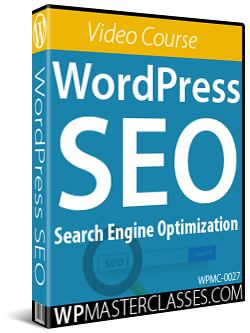 Note: these values are scaled to approximately match the original image dimensions. 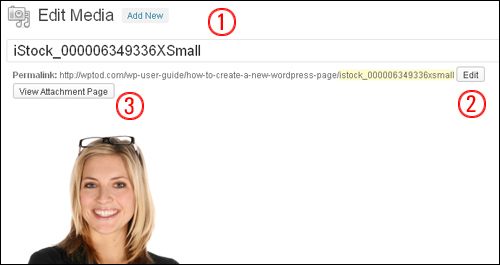 The minimum selection size equals the thumbnail size as set in your WordPress Media Settings. 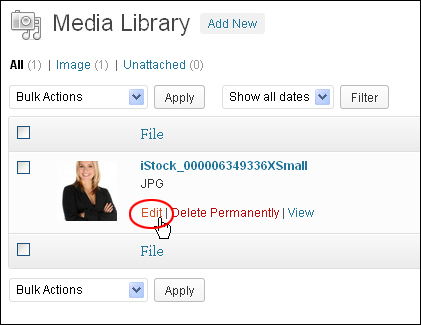 Some additional options for editing media in the Edit Media screen are not visible by default. 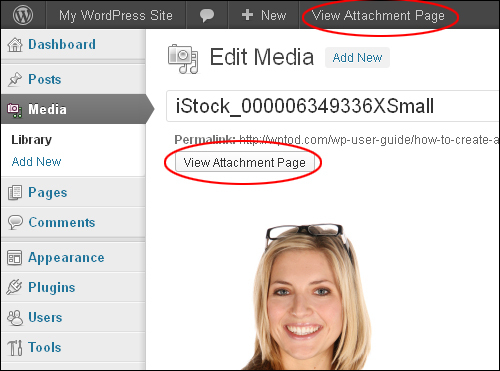 Discussion: Controls the ability to leave comments and/or trackbacks and pingbacks on the media attachment page. Tick the checkbox to enable an option, uncheck to disable. 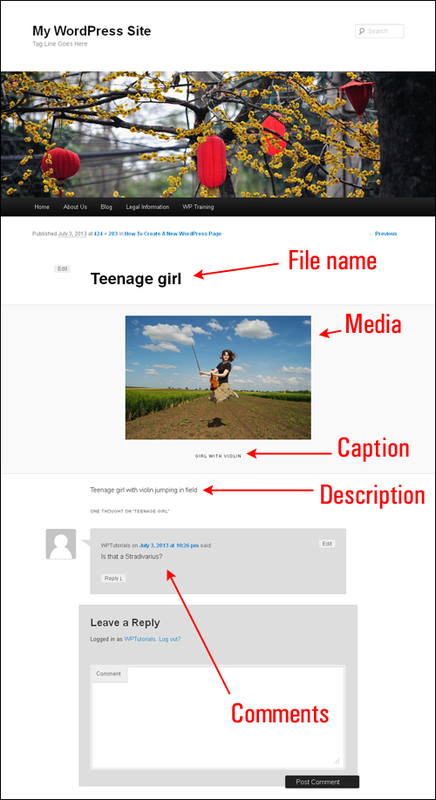 Comments: Displays current comments on the media attachment page. You can add a new comment or show existing comments. Slug: Allows you to edit the slug for attached media items. 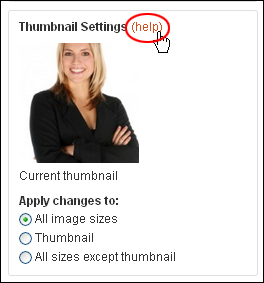 Author: Allows you to change the Author for attached media items by selecting a new author from the drop-down menu. Remember to click the Update button after making any changes that you would like saved. Tip #2: Keyboard Shortcuts When cropping your image, the keyboard combinations below can help you fine-tune the size of the crop frame. Congratulations! 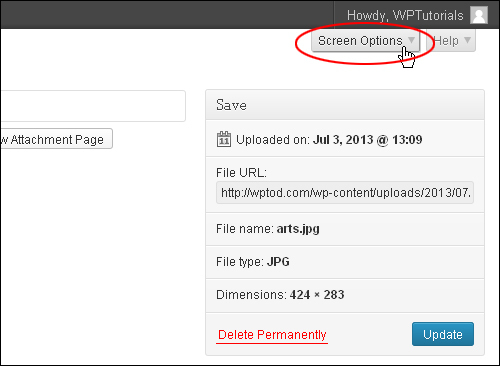 Now you know how to edit images in the WordPress Media Library. 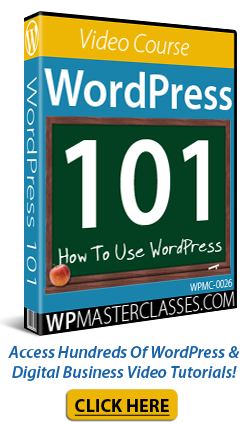 Originally published as How To Edit Images In The WordPress Media Library.